Whether it’s a winter storm on the East Coast, or tornadoes in middle America, or just some simple rain in California, sometimes your power goes out and takes your internet with you. Any way you look at it, when the internet is down your life is effectively on hold until it’s back up again. However, you can find workarounds to get yourself back online before you resort to picking up a book or taking a long stroll outside—here’s what to try first, after you established it’s not just your router or the whole internet that’s borked. The obvious move when your Wi-Fi keels over is to switch to a mobile phone network to get online, though this is dependent on the strength of the coverage in your area, and the data plans available to you. It can be a lifesaver if you’ve got work to do at home but it’s not really suitable for binge-watching whole seasons on Hulu. One option is simply setting up a mobile hotspot from your phone, if your carrier and your data plan allows. On iOS, open up Settings then tap Personal Hotspot; on (stock) Android, head to Settings then More then Tethering & portable hotspot. Again, check how much you’re paying your carrier for data first, and bear in mind that some providers only allow tethering on specific plans (if you don’t see the Personal Hotspot option on your iPhone, this is probably why). Another alternative is to buy a dedicated mobile hotspot device specifically for getting online when your usual internet isn’t available. It’s not cheap, but it can pretty effectively replace your home broadband connection in an emergency, as long as you’re not relying on it for weeks on end and you have decent 4G LTE coverage at your house. There are a host of hardware options and plans from the major carriers so have a shop around and see what deals you can get—the AT&T Unite Explore starts at $49.99 for example, or you can opt for the Verizon Jetpack MiFi for the same price. If you really, really need to stay online (for your job, for example) then this is probably your best option. You maybe haven’t noticed, but public Wi-Fi hotspots have become much more ubiquitous over the last few years, and there are now plenty of places where you can get yourself online, even if you have to surrender an email address or buy a coffee to do it. Just make sure you’re staying safe while you do. There are the usual suspects, like McDonald’s and Starbucks, but free Wi-Fi is also popping up in places like libraries, hotels, and even city streets. You should also check if your internet service provider offers access to any Wi-Fi hotspot network while you’re out and about—it’s an idea that’s more common in Europe at the moment, but it’s starting to catch on in the US too. As you might expect, there are a handful of apps to help you in your quest for connectivity as well—check out the likes of WiFi Map and WifiMapper to see if there are any open spots in your neighborhood. The speeds might not be as impressive as you’re used to, but at least you’re going to be able to get online. And here’s an unusual idea that actually makes a lot of sense: ask if you can borrow your neighbor’s Wi-Fi (we’re assuming your internet problems aren’t affecting the whole street in this case). If you live close enough, and you’re on friendly enough terms, it could be the ideal solution—maybe offering a favor or two will sweeten the deal, or explaining how your neighbor can change the router password to boot you off after you’re done. We’ve all come to rely on the web so much that it’s easy to forget just how much you can get done without an internet connection. Fire up your office applications and your local media libraries and it’s almost as if you don’t need the internet at all (until you need to look something up, in which case you’ll have to dust off those encyclopedias). Even in today’s constantly connected world there are a number of web apps that work offline, most of them made by Google to ensure Chromebooks don’t turn into bricks whenever the web goes down: Google Drive lets you create and edit documents while you’re offline, and you can even do a bit of light emailing with the Gmail Offline add-on. Don’t forget that the likes of Spotify and Netflix now let you cache content to a local device, though obviously you need to do this before your internet falls over. Spending a little while prepping for an internet blackout can make a big difference when you get cut off, whether that’s syncing content to your e-reader or making sure you have at least some of your iTunes TV shows downloaded and ready to go for when you start having connection problems. 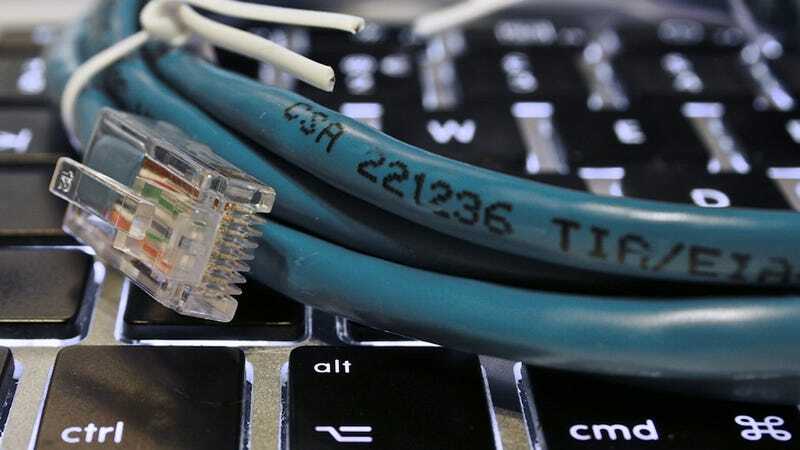 Nothing can fully replace the high-speed, reliable broadband connection you’ve installed when it’s not available, but using some or all of these tricks should be enough to tide you over until your ISP has fixed the issue.